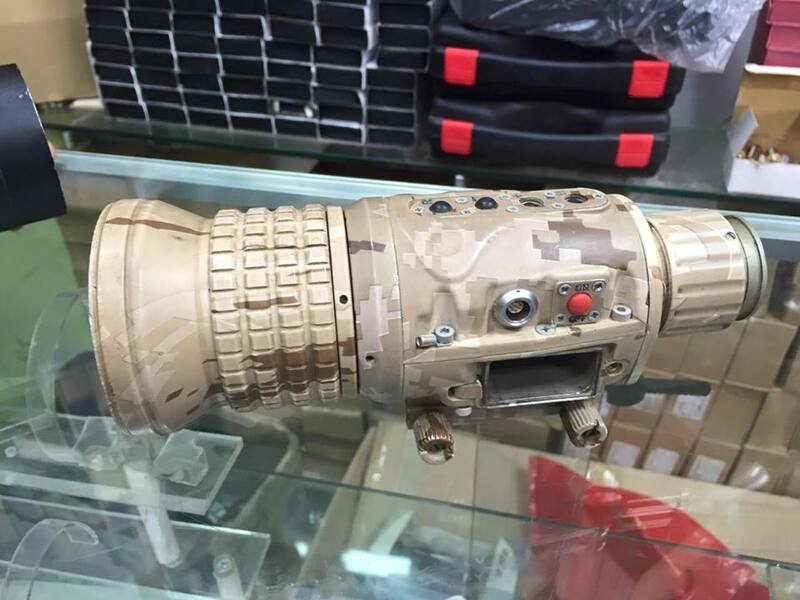 Photos made available via Twitter in July show a new addition to Iraq’s bustling black-market – an Iranian RU60G thermal sight, priced at $5,000 USD. Although Iranian arms have been well documented in Iraq, this example highlights a new concern: unauthorised transfers to secondary users. The RU60G is produced in Iran by the privately operated company Rayan Roshd. This is rare in a country where most defense industries are direct subsidiaries of the Ministry of Defense. They specialize in electro-optical systems, producing remote weapon stations, missile seekers, and both handheld & airborne imagers. Despite being privately operated, Rayan Roshd is connected to other state industries and the military itself. They have provided surveillance payloads to Iran’s larger aerospace companies and individual weapon sights to the IRGC. One of their products, the ARIO-H762 remote weapon station (RWS), has even been licensed to Sudan. 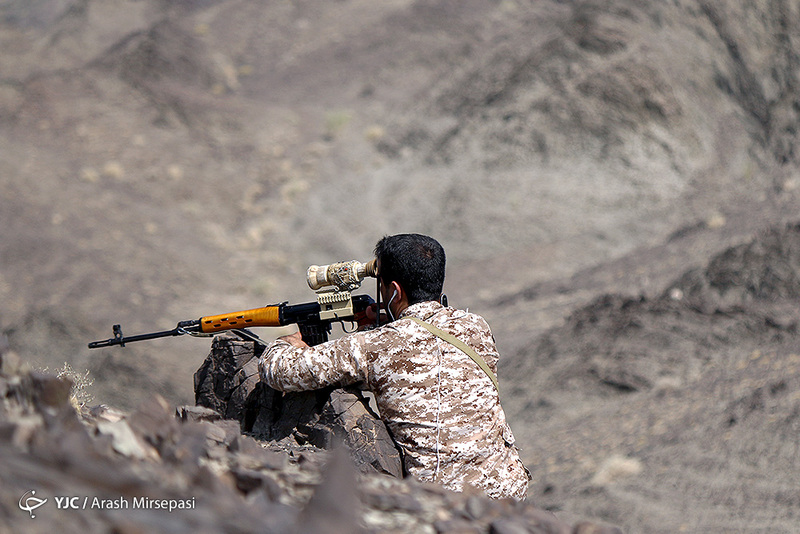 An RU60G thermal weapon sight being employed by IRCG border security in Baluchistan, Spring 2015. The RU60G belongs to a family of thermal imagers that also includes the RU90G and RU120G. The names correspond to the size of their objective lens (respectively, 60, 90, and 120 mm). As a general rule, the larger objective lens of the RU90G & 120G should correspond to increased image clarity. In Iraq, the RU60G had been documented at least once before. During fighting near the Baiji refinery in late-June 2015, a pro-militia Facebook group posted a photo showing it fitted to an AM50 rifle belonging to an unknown user. It is likely that the example offered for sale was originally in the inventory of an Iraqi Shi’a militia before being offered for sale on the black market. This is consistent with known Iranian supply patterns. Although there have been rumours of state-to state transfers, the majority of Iranian arms deliveries in Iraq are believed to have been passed directly to the militias collectively known as the Hashd al-Shaabi. By bypassing Baghdad, this pattern has helped strengthen semi-state militias, marginalizing the Iraqi Army in the fight against IS. 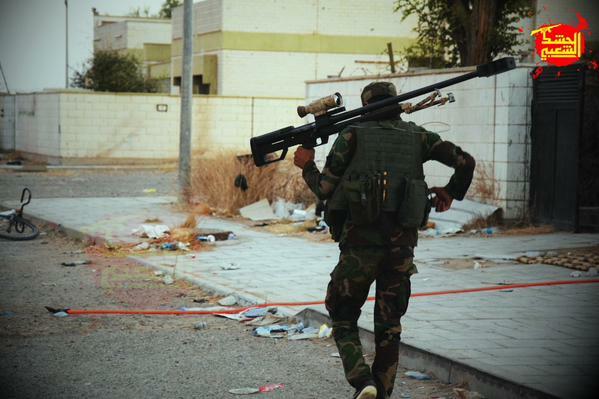 RU60G attached to an AM50 anti-materiel rifle, pictured during fighting near the Baiji refinery, June 2015. It should be no surprise that some of these arms have been diverted to the bazaars. After 2003, weakened state institutions – combined with significant foreign assistance – encouraged rent-seeking among the Iraqi Security Forces. Indeed, the RU60G is only the latest in long series of arms siphoned off by corrupt officials able to use their position and authority for personal enrichment. Diversion is a relatively recent concern with regard to Iranian arms within Iraq. However, as Iran supplies greater quantities of arms to an increasing number and range of non-state armed groups, the potential for diversion through battlefield capture or local profiteering increases. If this trend continues, it will increase the difficulty of documenting Tehran’s fingerprints on the region’s illicit transfers. Namely, the presence of Iranian-produced arms and munitions may no longer be prima facia evidence of Iranian support. For instance, Islamic State forces used an Iranian-made 107 mm rocket during a May 2015 attack in Egypt’s Sinai peninsula. It is unknown where the rocket first came from, or how it ended up in Egypt. Fortunately this pattern is still in its infancy. The overall scale of diversion is dwarfed both by the percentage of Iranian arms that remain in use by their intended recipients, and the percentage of diverted arms from other sources. Nonetheless, it remains important to be aware of this trend.